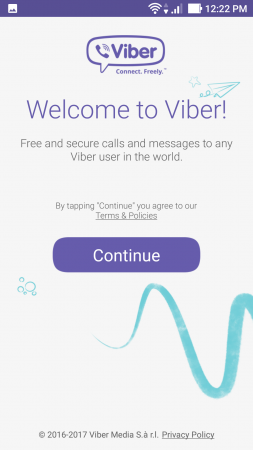 Main » FAQ » Can you have Viber on two devices? Viber is an app thatis strictly linked to your mobile device and phone number. 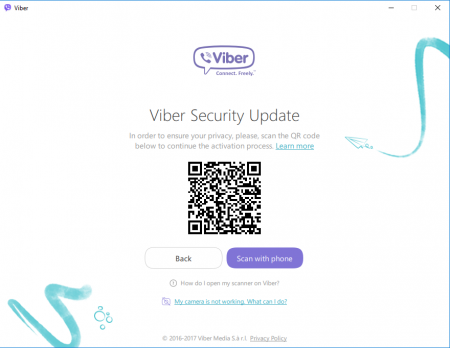 If you arewilling to install it on another smartphone, the settings on thefirst gadget used for Viber will be reset, and the Viber account willbe active on the second device only. At the same time, it will beimpossible to use Viber on the first smartphone, and you will need toregister again in order to make the application account active againthere. However, you may always use Viber on twodevices: on the mobile phone or tablet and on the laptop. In thiscase, you won’t need to reregister in order to make the Viberaccount operational, and you will be capable to use the messenger onboth of those gadgets simultaneously. How can you use Viber on two devices? 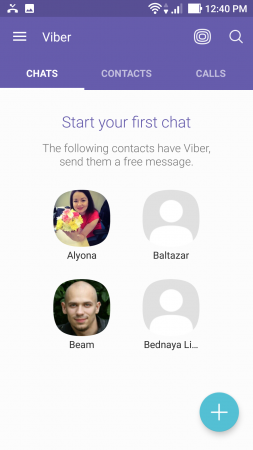 First, we need to register Viber on the smartphone or tablet. Install the app from the Google Play Store and follow the instructions that you see on the phone screen. On the first place, click the “Continue” button on the “Welcome to Viber” screen. By clicking on this button, you simultaneously agree to the “Terms & Policies”, which is actually a common widely-used agreement, so you won’t find anything interesting in it. Just follow the procedure and move on to the next screen. 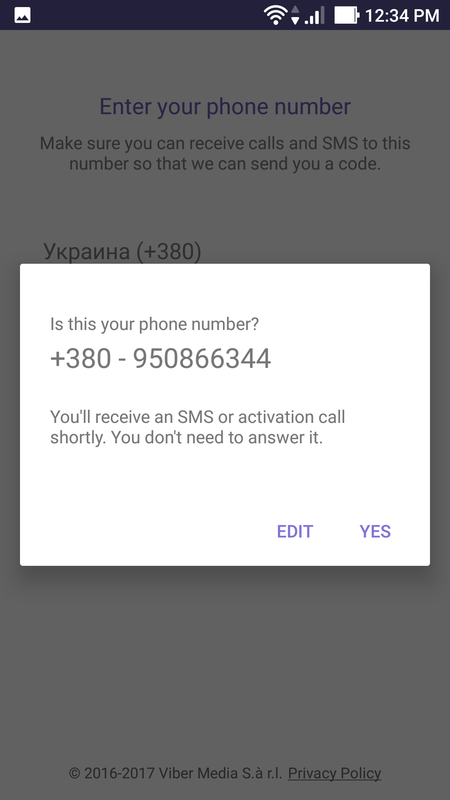 On the next screen, you will be proposed to enter your mobile phone number. Input it, with the prefix as the country code. When the phone number will be entered, tap the “Continue” button. A bit later, you will receive a notification form where you will need to confirm the recently entered phone number. Check it once again, and if you made a mistake, tap the “Edit” button, correct it, and approve it afterwards on the same notification form. After that, you will receive an incoming call, which configures the settings of Viber entirely automatically. 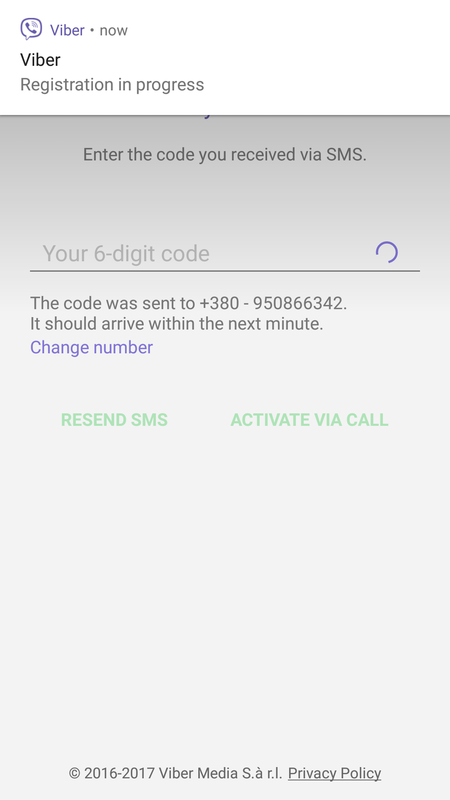 If the settings won’t be configured as a result of the call, you will be able to enter the 6-digit code, which you will receive in an SMS. 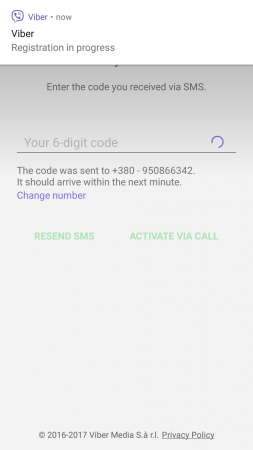 Just wait for some period after the call, or if it will be dropped, copy the 6-digit code from the SMS-message. At last, the setting up procedure is over. The Viber invitational screen welcomes you, and you freely may use the application on the mobile device. 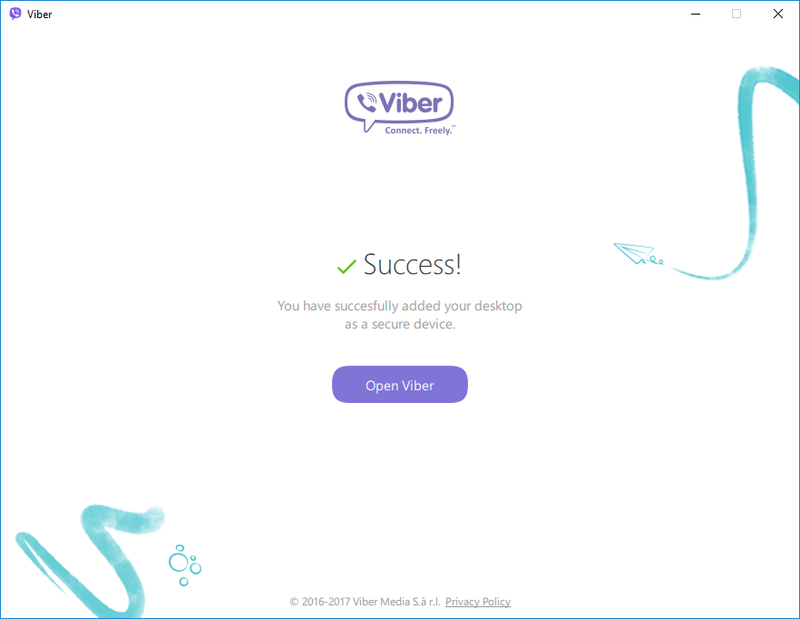 After the installation on the mobile gadget is completed, you need to set it up on the laptop or desktop PC in order to use Viber on two devices. 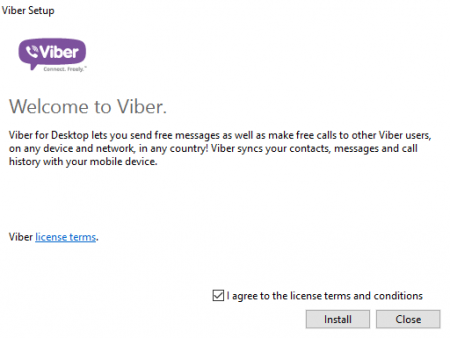 Install the setup package from the official Viber web-site on the following link. 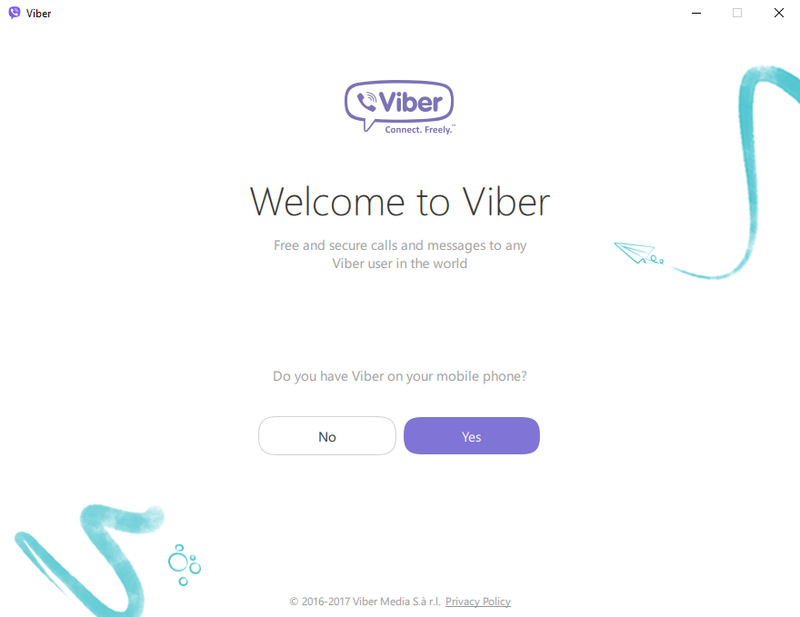 Choose the desktop version and click the “Get Viber” button on the HTML-page. Install the exe-file on the PC. Just follow the instructions and proceed further. After the installation routine is completed, the welcome screen automatically displays on your screen. At this moment mobile version should already be installed on your smartphone or tablet, so on the question “Do you have Viber on your mobile phone?” the answer should be strict “yes”. Otherwise, we won’t be able to install app on the PC and use Viber on two devices. On the next form you should input your phone number in order for the registration to be completed. Enter your mobile number without mistakes and click “Continue” button. Next step is related with the security and protection of your account. In order to approve, that you are connecting the Viber PC-version to your own mobile gadget, the installation routine proposes to scan QR-code displayed on the screen with the QR-scanner, opened automatically on your phone. Click the “Scan with phone” button and use your mobile phone to scan QR-code directly from the monitor or laptop display. 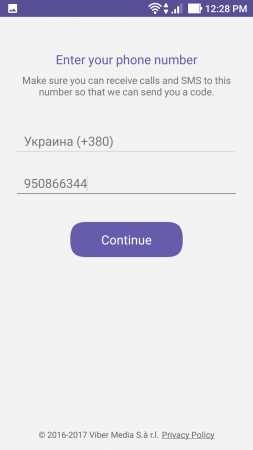 After this procedure is completed, approval form is presented to the user, which shows that the routine has been performed successfully and you are capable to use Viber on two devices simultaneously: on the mobile phone or tablet and on the PC (desktop or laptop). Click “Open Viber” and enjoy the communication.